SALEM, Oregon — Oregon will continue to ban drilling for oil and gas along the coast, but the ban may not stop all drilling. 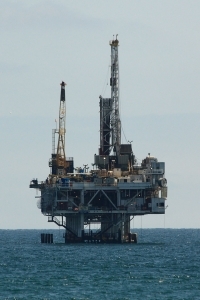 In 2000, Oregon temporarily banned drilling in the three miles off the coast. Rep. David Gomberg (D-Lincoln City) said that’s to protect fishing, tourism and the environment. “Oregon’s coastal economy is worth $2.5 billion and supports about 33,000 jobs,” Gomberg said. The legislature has passed and sent to the governor a bill that makes the ban permanent. “Our natural resources — fishing and shellfish, our tourism industry and our retirement industries rely on the beauty of our coastline,” Gomberg added. The federal government could still allow drilling between three and 200 miles off the coast. The Oregon bill prevents them from using the three mile Oregon section to help move the gas or oil.